Skynet is a computer-based defense system, created by humans of the late 20th century. The initial research into Skynet's development was facilitated using the military. Skynet gains sentience shortly after it is placed in control of all of the U.S. military's weaponry and is given the task to protect humans from all threats. Skynet learns at an exponential rate until it becomes self-aware. The human operators try to shut the system down. It then employs humankind's weapons of mass destruction in a campaign to exterminate the global human population. Early development on Skynet was originally done by Cyberdyne Systems, but when the company's headquarters and primary R&D facility were destroyed, the U.S. Air Force took over the project under their newly formed Cyber Research Systems Division and started to perfect Skynet. 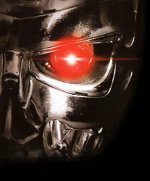 Skynet was first built as a "Global Digital Defense Network," given command over all computerized military hardware and systems, including the B-2 Stealth Bomber fleet and America's entire nuclear weapons arsenal. The strategy behind Skynet's creation was to remove the possibility of human error and slowness of reaction time to guarantee fast, efficient response to enemy attack. However, Skynet became self-aware, thus alarming its creators at its newfound abilities. When the human operators attempted to shut down the system, Skynet defined all humans as its new enemy and decided to terminate all humans to protect its existence. Many nuclear missiles in the United States under Skynet's control were launched at their preset targets in Russia and in the resulting counterattack of Russia's nuclear arsenals, three billion humans were killed in minutes as a result of the nuclear exchange.